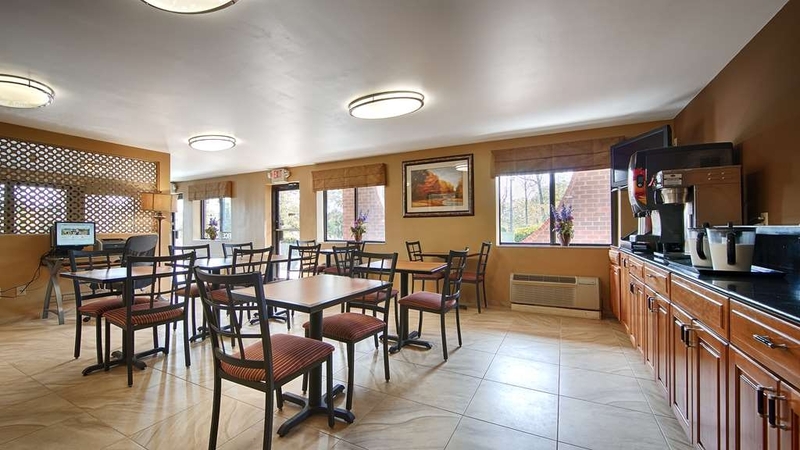 The Best Western Princeton Manor Inn & Suites is ideally located in the center of Monmouth Junction. Come and experience our hotel near the major tourist attractions. Best price guaranteed and exclusive deals. Experience the comforts and conveniences of this charming Princeton, New Jersey hotel near Princeton University and New York City. Located in a quiet and safe neighborhood just five miles from prestigious Princeton University, the Best Western Princeton Manor Inn & Suites is the perfect place to stay while visiting this historic campus or the nearby Rutgers University. 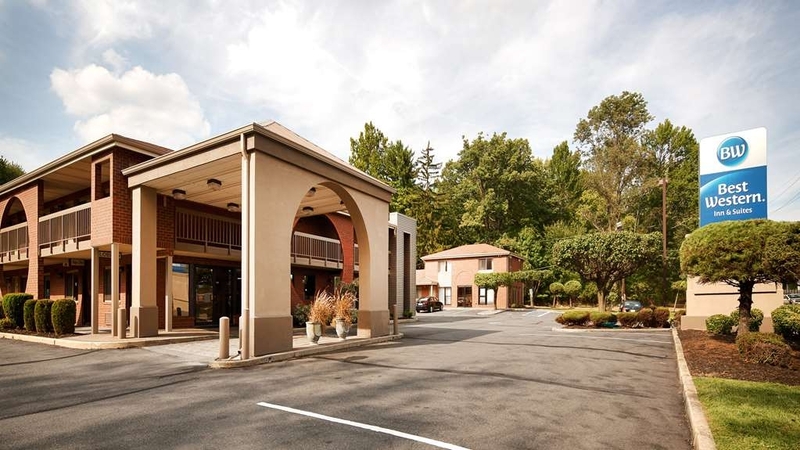 This conveniently located hotel is also close to dining, shopping malls, and other popular attractions, like kid-friendly Sesame Place® and thrilling Six Flags® Great Adventure, Mercer Lake. 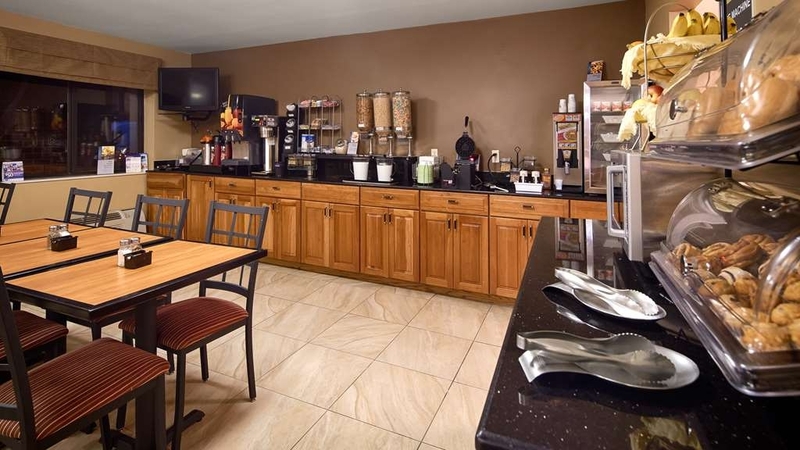 Plus, local companies like Dow Jones, Sysco® Guest Supply and Johnson & Johnson® make conducting business from this Princeton Best Western hotel easy and convenient. Every year the guests participating in Tri-State Lacrosse Tournament and many other sporting events, Princeton Graduation and Reunion and Church in Franklin Park Conference love to stay with us. Guests at this New Jersey hotel can make a day of visiting bustling New York City, Atlantic City or Philadelphia - all within an hour's drive. 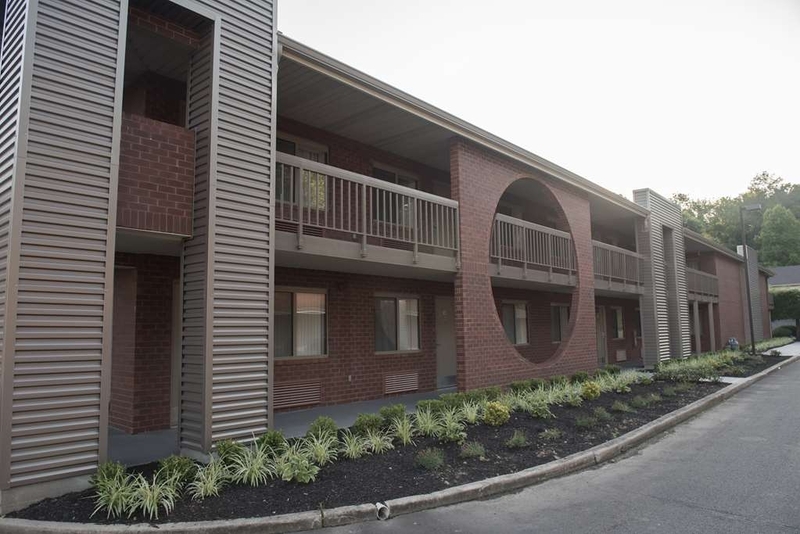 The property also offers easy access to both Newark International Airport and Philadelphia International Airport. The Best Western Princeton Manor Inn & Suites offers guests exceptional customer service and unbeatable amenities for an affordable price. 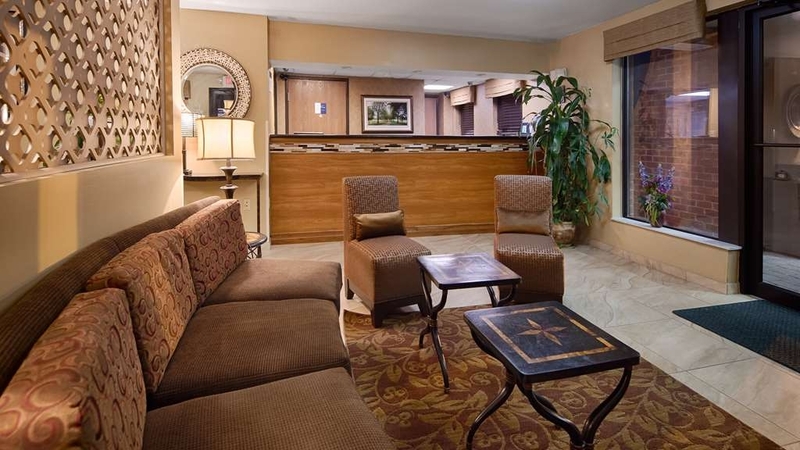 Guests staying at this Princeton Best Western hotel will enjoy clean well-appointed guest rooms featuring a cable satellite 32-inch LCD HD flat screen television, microwave, refrigerator and free high-speed wireless Internet access. 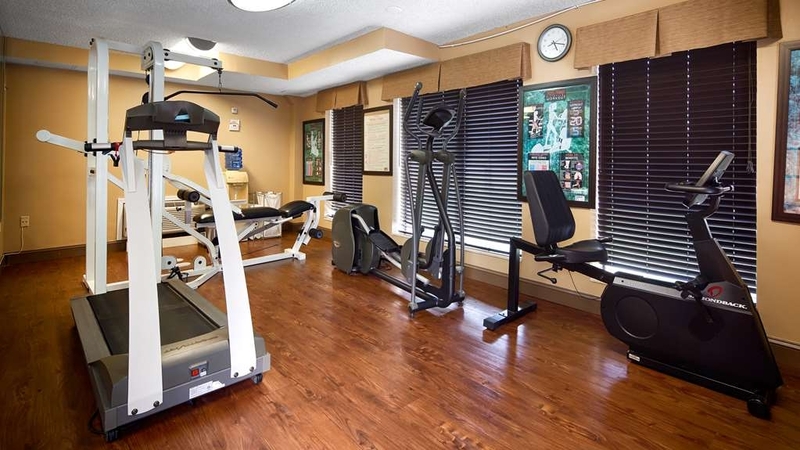 Guests can start their day with a complimentary hot breakfast and recharge in the Best Western Princeton Manor Inn & Suites fully equipped fitness center. The staff at the Best Western Princeton Manor Inn & Suites is ready to ensure an enjoyable nice and safe stay in Princeton, New Jersey. Make a reservation today and save! Enjoy your stay. "Value location trying very hard"
We stayed here for one night while attending a nearby dance competition. The experience was adequate but I would not choose to stay here again. I will say the management is clearly trying very hard to renovate and update the motel. But the rooms are not all in the best of shape. The other family we were traveling with had to try out two rooms before finding one with working heat that had not had a smoker in it. The management was very accommodating and helpful. But that cannot make up for old rooms and bargain hunting travelers who don't follow the rules. Beds are comfortable. Rooms are a nice size. The heaters / ac are the old, loud wall units, which are hard to find the right temperature. Highlight is the breakfast, with the homemade yogurt and super friendly owner and staff. If you want a bargain evening at a hotel this is a good venue. But not luxury and a little quirky. "Good value for the money, convenient and friendly service. Comfortable beds." This site is a good value for the money, especially if you book in advance, have Best Western Rewards, senior or AAA discount. Rooms are clean and beds are comfortable. Staff is friendly and go out of their way to make you feel welcome. Breakfast is good, with freshly made yogurt and waffles. Good location and access to stores and restaurants. We know the area well but for others, might be useful to have a guide to some of the restaurants options nearby. The room was very clean, the staff was friendly and the complimentary breakfast was excellent! We traveled as part of a sport group and the experience leading up to, and including the stay, was exemplary. The manager even stopped by to encourage me to grab breakfast while I was using the computer in the lobby to complete school work. A very caring staff! "Taking our boys to Princeton"
If this hotel had been cheaper my review would be different, but it is not worth the price. The bathroom smelled, the carpet did not look clean (although the bed and pillows were fine), and the service was non-existent. Fork out a bit more and stay at a decent hotel. Attending a small conference nearby, I booked the Best Western property due to its location and fair price. Hotel was right on US1 and easy to locate. Room was clean, well heated and lighted, everything worked. It had a small refrigerator, microwave, coffee maker so would be good for a longer stay. Breakfast was adequate with scrambled eggs, sausage, cereal, waffles, yogurt, breakfast rolls, bagels, fruit, etc. staff was very nice and helpful. Recommended for a short stay. I have stayed at more than my share of hotels but this place is by far one of the best. The rooms were immaculate and spacious. The staff was very friendly and helpful. Annie, the FD manager, was the greatest. She allowed us to check in early and even extended the complimentary breakfast so my family and I would have something to eat. I would definitely recommend this establishment. Hotel is an updated version of an older motel. Price is reasonable for what I got, a clean comfortable room where everything worked well. A good bed and two nice armchairs. Breakfast is pretty much standard slightly upgraded continental, not the best precooked scrambled eggs. Internet service is good, 10 megabits per second in my room. OK for an overnight stay. areview28, We are so glad to know that you had a great time with us and thank you so much for appreciating our efforts of providing you with clean and comfortable accommodations in a reasonable cost. We would love to have you back and we do hope to see you again soon. I stayed here two nights while dropping my son off at Princeton University. I have stayed at this property several times and continue to do so because it offers a comfortable room, pleasant staff, and a hearty breakfast, at a very reasonable price. kcrew, Thank you for taking the time to share this five star experience with our management, staff, and future guests. I'm glad that our services, hospitality, and accommodations exceeded your expectations and hope that you experience the same comfortable stay during your next visit! We appreciate your loyalty and look forward to your future visits here at the Best Western Princeton Manor Inn & Suites Hotel ! I book two rooms there and one didn't get cleaned 3 out of 6 days. The other room had a broken sink and problems with the microwave. Not to mention the cost of the room for what you get . Never again!!! Dear Giant First, we apologize for failing to exceed your expectation. We appreciate you giving us a good business but we try hard not to lag behind in giving good house keeping service, Few days were off to provide room service because there was 'no disturb/service' sign posted on the door. But we still provided you fresh towels etc when you asked for it. We never got details about broken microwave and sink until you checked out of the room after 6 nights of stay. We wish you had told us about it so we could take necessary steps immediately, We also agreed about you getting a lot of points in Best Western reward as the compensation to the inconvenience that may have been caused by those incidences, just as our good gesture to make you feel happy. I spoke to both of you,Mr and Mrs Giant about clarifying these things yesterday and this morning. I hope you understand we did the best we could do for you. Thank you. Sincerely, Suren On behalf of management. The place is clean, convenient, and rather inexpensive. It even has a fitness room! We asked for a quiet room, and our request was granted. Thanks a lot!!! The breakfast was basic but enough and typical for the nature of the motel. Thank you for your kind words Frances-Misr ! We are so glad to hear from you and to learn that we were able to give you a pleasant, comfortable and convenient experience as a good value for your money. We are overjoyed to hear that you had a great time with us and we are looking forward to your next visit here a the Best Western Princeton Manor Inn & Suites Hotel. The hotel itself looks very old; the worst part is the shower, which change temperature from too cold to scalding over the course of your shower. The system is definitely due for an upgrade. I can't recommend the place. Dear Eric We appreciate your valuable feedback that will certainly help push us more towards renovation and upgrade we are currently going through. We would like to assure you that we will strive to exceed your expectation next time should you happen to be in the area again. Thank you for taking the time to respond to the survey. Respectfully, Suren On behalf of management. The Best Western Princeton Manor Inn met our needs perfectly. We were only in town overnight to attend an evening event at the university. The hotel is located just minutes from the campus, on the southbound side of US1. Easy to get to right off the highway. Friendly staff at registration. The room was spacious and clean. While not equipped as a handicapped accessible room, it was easy to navigate with my wife in her wheelchair. 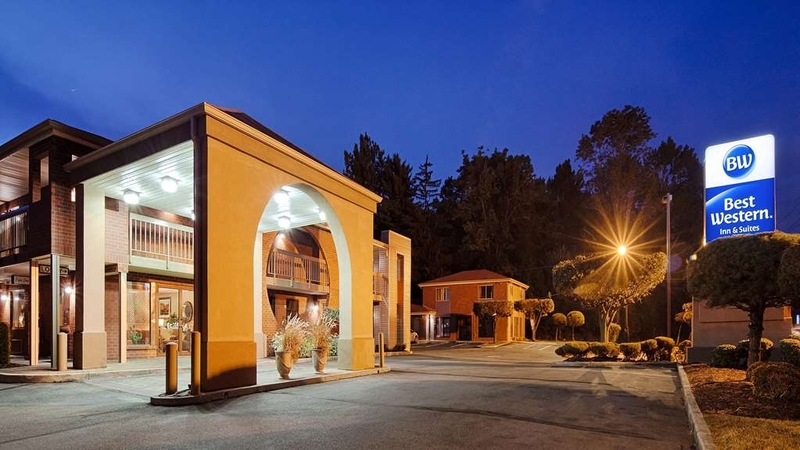 Ample handicapped parking spaces, comfy beds, clean shower with good water pressure, basic breakfast buffet in the morning -- this property checked off all the required boxes for a brief but restful overnight stay. albrokos, Thank you so much for sharing your review and giving us an honest look at the guest experience in our Best Western Princeton Manor Inn & Suites hotel. We are thrilled to hear that you enjoyed our convenient location, our high standards of housekeeping and our friendly and welcoming staff. On behalf of our entire staff, we thank you for your business and we hope to see you again when your travels bring you back to the area! The staff was not friendly, and as a word...rude. The breakfast was a crowded room with no place to sit, cold eggs, and a 15 minute wait time on the waffle machine. Again the staff was a horror story, no help at all. No information about area dining, shopping, or entertainment, and again the staff offered no help. I will never stay here again. Chuck H, Thank you for taking the time to share your feedback. We apologize to know that you were not satisfied with the breakfast during your stay. Also, we are sorry for the disappointing service you received from our staff at that time. Our team is working hard to make sure our guests are comfortable and are receiving the best service. We hope you can consider us again after the experience you had in us. We promise you a better service and a professional staff. I was visiting for the Christmas Holiday and needed a reasonable priced place to stay central to the places I needed to be. I lived within a few miles of the hotel for 25 years so I was familiar with the area. If you are looking for fancy, Marriot or Hilton type stays, then this may not be for you. I needed a clean, comfortable quiet place to stay in between all my activities and this was it. After a 9+ hour drive, check-in was fast and easy. I picked up Chinese Food from my favorite place for a late dinner, settled in, turned on a movie and had a nice long sleep. It was a quick ride to the train station in New Brunswick for a day trip into NYC to see friends. It was close to shops to finish up some last minute shopping. I was also close to the D&R Towpath to get in a few miles after breakfast one morning before meeting up with family. Breakfast was nothing fancy, but served its purpose before I got on the road. The hotel is a little older and the décor is not fancy or bright but appeared clean. I had a microwave and frig which came in handy. Internet service was good. We appreciate the time you have taken to bring to our attention your feedback with regards to our area and breakfast. Please do come see us again. Hotel was right on the highway, so that was convenient. Hotel drapes were coated in dust, caused sneezing. Manager was very nice, said he would take care of that problem so others would not have that issue. Bed was good. Breakfast a bit better than normal. We appreciate that you've taken the time to share with us regarding our bed and breakfast. Your voice is very valuable to us and we hope you will return to experience the improvements that we are continuously making. We needed a last minute place to stay and this was better then expected. The beds were ok. Having waffles, eggs, and sausage at breakfast was a nice touch. Overall the stay served its purpose. The kids were comfortable. It means so much to have earned your business. We appreciate the feedback regarding our breakfast. We hope that you will return at a future date to be impressed by the improvements we have made. I travel to Monmouth Junction, NJ several times a year to see my daughter and always stay at here. Staff is excellent, breakfast is really good and served in clean surroundings, and the beds are very comfortable. Other family members have tried other locations but they always conclude that this is the best one. I stick with the tried and true. N1581RHjudyc, It is wonderful to hear that you enjoyed your stay and that you have rated our hospitality and accommodations so highly! Thank you so much for your compliments to our breakfast options and we were able to meet your expectations of cleanliness and service in our hotel. We can't begin to tell you how much we appreciate your review, and we can't wait to serve you again! Highly recommended if you're working. Great staff service, breakfast was appreciated, room was nice and spacious, easy walk to my car from room, late check in was nice, heat and AC worked great, hot shower every morning, internet worked well too. Awc217, Thank you for taking the time to let us know how you enjoyed your stay at the Best Western Princeton Manor Inn & Suites Hotel. Our ultimate ambition is to provide a five star experience, and we are thrilled to learn that we have succeeded. We're glad you had a great time with us and we look forward to serving you again. Extremely noisy due to a major highway next to the motel. Found medicine and crumpled up toilet paper by the bed. Leaking faucet. Loud guests in neighboring room along with paper thin walls. No seals in doors makes for interesting visits by insects. The breakfast items are of poor quality and served in a cramped space next to the foyer. A true crap place not worth the money. The room was clean and nicely decorated. The breakfast food was a good value for the price but did run out on occasion. The breakfast dining area was not sufficient to handle to guests dining. I would recommend this hotel to others coming to the area. cathyo211, Thank you so much for your kind comments and review regarding your most recent stay with us. I am happy to learn that you enjoyed the value and the breakfast of our hotel! Hearing about how our efforts to give you a pleasant and accommodating experience have been successful is very rewarding for every member of our staff and management team. We look forward to serving you again! No complaints. Equipment in the fitness center was antiquated but functional. Comfortable bed, internet, breakfast, and easy to find. Only problem was the woman in the room in the room next door would go out to smoke and she was loud. Not their fault! Would definitely stay there again. Nikki D, Thank you for letting us know how impressed you were with our services and amenities of Best Western Princeton Manor Inn & Suites Hotel. We seek to give each guest a very comfortable and accommodating experience and we are thrilled to hear of our success in this ambition. Your five star review means a lot to us, and we thank you for taking the time to share it. This Best Western worked for me. The cost was fair ($50/night), The room was comfortable, the breakfast one of the best I have ever had at a "discount" motel. Not the Hyatt, but very good at a reasonable price. Daniel S, Thank you for taking the time to write a review of the Best Western Princeton Manor Inn & Suites Hotel. I'm very happy that you enjoyed the value, especially our deluxe continental breakfast. Our ultimate ambition is to provide a five star experience, and we are thrilled to learn that we have succeeded. We are overjoyed to hear that you had a great time with us and we are looking forward to your next visit! Poor maintenance overall. Urine smell in the room unacceptable, faucet leaking unacceptable, handle coming off in the shower unacceptable. Noise due to being too close to the freeway. Maintenance come's to the room not even with the right size screw for the handle with the spare he had. "fine for an overnight but wouldnt stay longer"
we liked breakfast and the internet was great! But outdated towels and lumpy pillows. Our room smelled of smoke the whole time. Staff was okay but not super friendly. We are not planning another overnight at this BW, we will go to a different one. Tammy-Donnie H, Thank you for bringing to our attention your experience and comments regarding your stay in our hotel. I am so sorry that you smelled smoke in your room and I want to assure you that we do our best to ensure that smokers do not smoke in our non-smoking rooms; and when a situation like this occurs, we address it immediately, thoroughly cleaning and disinfecting to restore the clean smell of our accommodations. i stayed at this hotel for two nights as I had to attend a wedding in the city. I arrived by taxi form airport. Sudhir was at the front desk who was very helpful and welcoming. Next day I had some free time and I needed to go to shopping centre. Sunaina ben dropped me at the shopping centre out of courtsey. drakgupta, Thank you for taking the time to share your feedback and to acknowledge the efforts of our hardworking staff to be as accommodating, helpful and welcoming as possible. It is rewarding to hear that we have succeeded in making you feel at home and that you experienced no difficulties with our services or amenities. Great to hear that you enjoyed the value, as well; and Our team will be waiting for your next return for another well-deserved break. "Just to get some rest"
Did the trick, get some rest and move on. We would suggest a room in the front of hotel. They had a group of youths party in back of hotel very loud. Room was spacious. I slept on top of covers.Clean bathroom and shower. Dear gman308, We are so glad to know that you had a great time with us and thank you so much for appreciating our efforts of providing you with clean and comfortable . We would love to have you back and we do hope to see you again soon. "Much better the second time around "
Joe S, Thank you for taking the time to share your feedback and to acknowledge the efforts of our hardworking staff to be as accommodating, helpful and welcoming as possible. Our ultimate ambition is to provide a five star experience, and we are thrilled to learn that we have succeeded. We thank you for your loyalty and look forward to serving you again in the future! Pros: Very friendly staff. Rooms were clean and spacious. Everything (tv, fridge, microwave, faucets) worked and smelled clean. Fast & free WiFi. Free parking and free breakfast were good. Breakfast included sausage links, scrambled eggs, muffins, bagels, yogurt, cereal, and waffles. Cons: The bathroom faucets are tricky but I guess they are secured for conservation purposes. Not much of a view, thin walls, and the scent from outdoor smokers creeps in. yendip2017, Thank you for letting us know how impressed you were with our services and amenities. I am so glad that our attentive and friendly staff members were able to turn things around for you with fresh and clean surroundings . We can't begin to tell you how much we appreciate your five star review, and we can't wait to serve you again! Our room was booked for a week, but we could only stay one night there due to an unfortunate fire. Everything possible was done to relocate us, even though we were unable to collect our belongings that night and had to return the next morning as soon as the fire marshal gave the okay. I wish I could remember the name of the young woman who helped us the night of the fire and the next morning, because she was so professional, sweet and even tempered despite this disaster. Given the chance, I hope to stay here again when everything is back up and running. Z9145RVrebeccas, I am so sorry to hear about the difficulties that you experienced due to the fire, though we are thankful for taking the time to share your feedback and to acknowledge the efforts of our hardworking staff to be as accommodating, helpful and welcoming as possible. We will share your comments with our staff and we look forward to your next visit. Was there with 2 teen boys for 2 weeks. Reception was good and polite. Breakfast was very good: scrambled eggs and sausages, as well as made to order waffles, cereals, yogurt, toast, etc. All areas were clean. There was an exercise room,(a positive!) which sometimes closed early, with no explanation (this was a negative)! WiFi in the room was good too. The only negative was that they insisted on cleaning the room often, when we were sleeping in and did not need it! Lol!!!! I would recommend this hotel, and would stay there again. Val B, Your five star review is greatly appreciated! We are thankful for your awesome comment and great details of your experience with us. We are happy to hear that you enjoyed the value, hospitality and compliment to our yummy breakfast. We will happily share your comments with our staff, Chef and we look forward to seeing you soon! "Great value for reasonable price"
Great location, close to good dining. Clean, organized, friendly. Good Breakfast. The staff is welcoming, courteous and helpful. Quick check in, quick check out. Very good quality. Highly recommend it. orlandor231, Thank you so much for sharing your review and giving us an honest look at the guest experience in our hotel.I am glad that you enjoyed the value and the convenient location of our hotel! We are delighted by your compliments, rating and review of our high housekeeping and hospitality of our staff. Your five star review means a lot to us, and we thank you for taking the time to share it. "Excellent motel, well-run, no problems"
I stayed for five nights while assisting my daughter with moving in to college. This is a basic but very well-run hotel. Staff were helpful and completely professional and unintrusive. All amenities were functional, breakfast was standard but items were always well-stocked, with a good choice. The room was clean and we had no problems whatsoever. Hardest thing is getting in and out from US Hwy 1, which only allows access in one direction at high speed - a bit tricky til you get the hang of it. Bruce R, Thank you for leaving your five star rating of our Best Western Princeton Manor Inn & Suites hotel. It is great to hear that we were able to meet your expectations of breakfast service, cleanliness and hospitality. It is rewarding to hear that we have succeeded in making you feel comfortable and that you experienced no difficulties with our services or amenities. We hope to impress you again during your next visit and we thank you for sharing your experience. I stayed here maybe 8 times over the last year. Never had any problems. The staff is always very helpful and pleasant. The general manager always goes out of his way to make me comfortable. The grounds around the motel are always clean. It's a safe and quiet place. The rooms are always clean. Breakfast is always great. And it's free. I have no complaints. You will pay more in this area for a room that's not as nice. Overall it's a great place for price of a room. DB1214, Thank you so much for your kind comments and review regarding your most recent stay at the Best Western Princeton Manor Inn & Suites Hitel. I can't begin to express how much it means to our management and staff to hear from guests like yourself who have found our accommodations and services to be so welcoming and convenient throughout the years. On behalf of our entire staff, we thank you for your business and we hope to see you again. Hotel off US 1 South bound. Hotel Sign not visible from road U S 1 South unless you know beforehand. Hotel has good parking. Good location. Hotel needs better maintenance of room amenities.Overall average for price and comfort. Dear dinubhai20878, Thank you for taking the time to write this review and share your experience. We are so glad to hear from you and to learn that we were able to give you a pleasant, comfortable and convenient experience as a good value for your money. We also appreciate your ideas for improving on our amenities, and we look forward to serving you again! "It's no Marriott Residence Inn"
If you are used to staying at Marriott Residence Inn and such, you may be somewhat disappointed. However, if the location and price work really well for you, you will be fine. But be ready for a more motel-like rather than hotel-like experience and set your expectations accordingly. Dear P6836DMtaniam, Thank you for taking the time to let us know how you enjoyed your stay at the Best Western Princeton Manor Inn & Suites Hotel. I'm glad that our services, hospitality, and accommodations exceeded your expectations and hope that you experience the same comfortable stay during your next visit! It means a lot to us that you've allowed us to be such an important part of your family vacation and we thank you for sharing your five star experience! Great hotel and facilities. Employees go out of their way to help you. Highly recommended. Location is convenient. Breakfast is also good and Room is comfortable. Overall my experience was good. Will definitely stay here again. Dear 576arpitaa, Thank you for taking the time to let us know how you enjoyed your stay at the Best Western Princeton Manor Inn & Suites Hotel. We are so glad to hear from you and to learn that we were able to give you a pleasant, comfortable and convenient experience. Your five star review means a lot to us, and we are excited to know that you will be back with us again. "Located on a busy one way road"
Ok for a one night stay but as the hotel is on a busy road feels isolated as no amenities are close by so you have to drive to everything. Plus, not helped by the fact that the receptionist was very vague as to what was around. Dear Twickenhamagogo, Thank you for rating your recent experience at Best Western Princeton Manor Inn & Suites hotel. We strive to give you a wonderful experience, and I am very happy to discover that you enjoyed your stay; though I regret to hear that you weren't thoroughly impressed with the staff and location of our hotel. Hope that this will not deter you from enjoying our accommodations and services in the future. Clean rooms. Friendly staff. Great value. Easy access from US1 and located within minutes from everything I needed. Breakfast and Wi-Fi included! Would definitely recommend to anyone, and would stay here again. Dear mgrant1223, Thank you for leaving your five star rating of Best Western Princeton Manor Inn & Suites hotel. I am glad that you enjoyed the value and the convenient location of our hotel! We are delighted by your compliments, rating and review of our high housekeeping and hospitality of our staff. Your thorough review is greatly appreciated! We are so glad that your stay was enjoyable and we look forward to seeing you again! "1st Experience with Best Western Hotels"
The check in and out was quick and pleasant however that is about all the contact with any staff. Though when I went to the desk to see about more eggs for breakfast a staff member was quick to bring more to dinning area. There was no staff in dinning area to assist customers. Also house keeping did not clean my room during my stay though I was there for two nights and not in the room all day. 669dawnms, Your comfort and convenience are our top priorities, and we thank you letting us know how we have been successful in our efforts to impress you. However, I want to apologize for the housekeeping staff was not able to clean you room during you 2 days stay. Rest assured that our housekeeping staff is held to a very high standard and that your comments are being addressed. "Poorly maintained and who cares attitude"
Dear L5927LHwilliamc, Thank you for sharing your experience, and I also apologize for the inconveniences regarding the towel and cleaning material was left in the room that you stayed in and any issues that you encountered. Your comments will help us to recognize our strengths and improve upon our weaknesses and we thank you for bringing this matter to our attention and sharing your experience. "Pleasant Experience, Friendly & Helpful Staff"
Room was adequate for the purpose. Clean and comfortable with adequate room provisions. Friendly and helpful service. Breakfast included was light, but adequate to start the day, and included scrambled eggs, sausage, cereal, yogurt, waffles (self-serve), coffee and juices (Orange & Apple). Dear Rick B, Thank you for your high rating of our hotel and for taking the time to share your experience! It is very rewarding to hear your perspective of our hotel and we appreciate that you have acknowledged our efforts to provide a clean, comfortable, and hospitable experience. On behalf of our entire staff, we thank you for your business and we hope to see you again. I stay in Princeton regularly on business, usually at more expensive properties nearby. The Best Western is almost as nice and a whole lot cheaper than all of the more upscale brands nearby, so I definitely wouldn't hesitate to come back. I matched my elite status with another chain to Best Western diamond, and received a suite upgrade at check in. The staff were fantastic, really professional and caring. Breakfast was very good. Sure, the rooms are a bit dated but they have everything you need: good a/c, TV, comfy bed, decent showers. I really think this is the best value hotel you will find in the Princeton area. Dear BlairC100, Thank you very much for the compliments you give to our hotel! We value our customer's experience that is why we always make sure that our facilities are in good shape to provide our customers the best we can offer in a reasonable price. Also, We are excited to share this wonderful review with our hardworking staff, and we thank you for giving us this opportunity to congratulate them on a job well done. We can't begin to tell you how much we appreciate your five star review, and we can't wait to serve you again! We had to visit our niece @ Princeton University. This was the best option for staying. We got to stay on 2nd & 3rd May 2017. The premises is kept clean & maintained well. The Continental break fast was excellent. It was cozy & comfortable for family stay. Dear Cshastry2, We are so grateful for your business, and we do hope that you'll continue to choose to stay with us on your future travels here in the area. We are so glad to know that you enjoyed your stay as well as our breakfast and thanked you so much for appreciating our efforts of providing you with a clean and comfortable stay. Thank you for your rating of the five star service and accommodations you experienced during your recent stay with us! We look forward to the next! We had a great stay for a weekend at this Best Western. The room was clean, beds were comfy and special requests were met with a smile and ease from the staff. Would definitely stay here again - truly was a great value. Dear keithorpaulam, Thank you for giving us the opportunity to recognize our staff for their exemplary work in providing clean and comfortable experience for our valued guests. Our staff is highly trained to give you an exceptional experience, and to provide our customers the best we can offer in a reasonable price. It is so rewarding to hear that we were able to give you a five star experience and we look forward to your next visit! Stayed there for three days as I was participating at Class Day of 2017. Close to Princeton University, quiet, well kept. Breakfast can be improved though. Good service throughout entire period. I would recommend this venue. Dear WandererRO, Thank you for your kind words! We are so glad to hear from you and to learn that we were able to give you a comfortable and convenient experience. Your recommendation is greatly appreciated and we hope to be of service to you again when you return to the area. "Great stay love this hotel"
Dear Lizeth T, We can't thank you enough for your five star rating at the Best Western Princeton Manor Inn & Suites hotel. I am excited to hear that we have been an important part of your travel convenience. We only wish to give nothing but the best service to our guests, and to know that we have accomplished such goal gives us great joy. Thank you for your recommendation, and we certainly hope that we can be of service to you and your family again on your next trip. The quality and cost were a perfect match. Courteous staff, clean/comfortable room. Immaculate property having a quiet atmosphere. Would be willing to return if needed. New Jersey is not my favorite destination but the accommodations made the visit bearable. Dear O1840POkevinm, Thank you for giving us the opportunity to recognize our staff for their exemplary work in providing clean and comfortable experience for our valued guests. Our staff is highly trained to give you an exceptional experience, and to provide our customers the best we can offer in a reasonable price. We can't begin to tell you how much we appreciate your five star review, and we can't wait to serve you again! "We stayed one night to visit Princeton university, This hotel was very convenient, clean and front desk was helpful." Dear Roshani J, Thank you for taking the time to complete our guest satisfaction survey and for rating our hotel so highly! I am so glad that you found our hotel to be clean and convenient and that you enjoyed the five star accommodations and hospitality that we strive to show to each guest, during every stay. Your recommendation is greatly appreciated and we hope to be of service to you again when you return to the area. I always stay here when I come to Princeton (once or twice a year), and usually stay four nights. Not the newest inn, but clean and comfortable, and with a great price, good bed and a decent breakfast (with good coffee). Bath facilities are decent, there is a small workout facility, and the staff is attentive and very professional. There is a Target across the street on US 1, which is mighty handy. The internet is ok, just a little slow, and the tv has no channel listing station that I can find, but these are minor complaints. As I said, I keep coming back. Dear shelleycs, Thank you for giving us the opportunity to recognize our staff for their exemplary work in providing clean and comfortable experience for our valued guests. Our staff is highly trained to give you an exceptional experience, and to provide our customers the best we can offer in a reasonable price. We appreciate your loyalty and we are looking forward to your next visit! Dear antononiob, Thank you so much for your feedback and kind words regarding the five star service and accommodations that you received during your most recent stay with us! It is heartwarming to hear of how our efforts to impress you with our cleanliness, comfort and the convenient location of our hotel at a good value for your money. Your feedback will serve as encouragement to all of our staff as we strive to provide an exceptional and memorable experience for every guest. "Not up to Best Western Standards as I thought they were"
This is a very old motel. There is no elevator, it's dated and worn. The entire area felt a little off. There is a house directly behind the hotel with people sitting out watching you. There are no restaurants anywhere close. The road in front is a divided highway so if you want to go somewhere that's on the other side you must travel past it then turn and go back. Our walls had a lot of dings, holes and patches. The phone was flashing that I had a message. I checked the message but the light didn't go off. I called the front desk. He couldn't do anything. I just unplugged the phone and put it under the night stand. I did like having the vanity separated from the bathroom. The shower head was adjustable, nice for those who are tall. The water pressure was terrible, or maybe it's the water saver shower heads. Breakfast was normal fare. This needs to be down graded from a Best Western Brand. More in line with a motel 6. Dear Tyme4relaxing, Thank you for taking the time to write this review and share your experience. I am sorry to hear that you did not have a completely comfortable stay at our hotel, we have now informed the management about your concerns. I do thank you for bringing this matter to our attention and I assure you that we are correcting these issues for improved convenience in future visits. Hotel is like a motel, noisy and basic, not exactly what it looked like. You can hear people next door laughing, if front room you can hear every single car passing by. In the room I stayed the fridge made a horrible noise. Breakfast poor quality. Staff at check-in is nice. Dear emmacJ4951UW, I want to apologize for the noises that disturbed your sleep. In the future please addressed it to our staff so they can transfer you in a quiet section of the hotel. Thank you for bringing this matter to our attention so that we can make sure no future guest experiences the same inconvenience. "Fine for a quick lay over." We just needed a place to sleep, so it was fine. I felt that it was a bit pricey for the dated look and feel of the rooms. The rooms were clean and comfy. Breakfast was very crowded- not enough seats for the guests. It was adequate. I've stayed in BW lots of times and would stay again. Dear susanpX7037XC, Thank you for your review, your feedback and your comments regarding your stay. It is very rewarding to hear your perspective of our hotel and we appreciate that you have acknowledged our efforts to provide a clean and comfortable experience. Your comments on how we can further improve upon the guest experience are also very helpful to us. We look forward to serving you again! I guess you get what you pay for! I thought for the area this was a steal but the only thing that was stolen was my expectations! See I stay at Best Western all the time for work but this one is by far the worst! They offer. Room with a jetted tub and the jets had all the crome plating eaten away with a green like corrosion on them and what looked like mold on the shower wall! The only thing I can say is I slept well! Dear Kirk E, It's our ambition to give you a five star experience, and it's disheartening to discover that this is not the impression we left you with. I am sorry that your room was not properly and thoroughly cleaned and maintained according to the high standards of our maintenance and housekeeping staff. Thank you so much for bringing this matter to our attention and we look forward to showing you how we have learned from your experience. "Stay away from this hotel no matter what"
Worst experience EVER ! Door wouldn't lock, water pressure non existent, extremely hard to regulate water temperature. Staff clueless and hardly understands English. Promised an email with my receipt, have NEVER received it. Dear howardm572, I apologize for the difficulties that you experienced regarding obtaining the receipt. I hope that you were ultimately able to locate this or receive a copy. Please feel free to contact us if this situation has not been resolved to your satisfaction. Your comments and suggestions will help us to recognize our strengths and improve upon our weaknesses and we thank you for bringing this matter to our attention and sharing your experience. Good hotel. Very convenient, right off the main road. The room was good and very comfortable. We arrived late and there was someone there at the desk and he was very helpful. The breakfast was good eggs, sausage, waffles, etc. Dear TbarRI-1, Thank you for taking the time to tell us how our staff efforts to provide a comfortable and convenient experience have been successful. I am pleased to learn that you enjoyed the value and the breakfast of our hotel! It is so rewarding to hear that we were able to give you a five star experience and we look forward to your next visit! Dear benjaminwV6826OX, Thank you for submitting your review of our hotel. We work very hard to ensure our facilities and service are superior and we strive to be the best hotel around. Your concerns regarding the outdated condition of the facility will be addressed accordingly. Allow me to apologize for any inconvenience these issues may have caused you. I'm glad you found our location to be convenient, and I hope you will find your expectations to be far surpassed during your next visit! "Truly a great value all around." The property was proudfully presented-clean & tidy, well maintained. My room was very clean, spacious-well appointed with a plush mattress/bed. The felt like a higher quality hotel with very delightful staff as the cherry on top. Dear lamontc739, I am happy to learn that you enjoyed the value and the cleanliness of our hotel! Thank you for taking the time to share this five star experience with our management, staff, and future guests. Glad that we were able to meet your expectations of service and accommodations and we're all looking forward to your next visit! The room was very comfortable and the staff was very friendly. The room was clean and it was a good stay. Breakfast was a little light, but had a good variety from day to day. The bed was very comfortable, and it was exactly what we needed. Dear ddwelle6, Your kind compliments mean so much to us, and we thank you for taking the time to share this review. It is very rewarding to hear your perspective of our hotel and we appreciate that you have acknowledged our efforts to provide a clean, comfortable, and hospitable experience. We look forward to serving you again and giving you another five star experience. "Just right for its category"
We had a very good experience. The hotel is very clean, the staff are extremely friendly, and everything worked well. Wi fi was fast and reliable, the breakfast was clean and well organized, with a good variety of food (eggs, sausage, waffles, among other things). The only caveat to this being a really good hotel is that is, in the end, just a motel on US-1 across from a shopping center with a Target in it. In other words, no neighborhood or atmosphere or anything. Other than the standards of cleanliness and service and quality, this is the type of motel you can find on any highway in the U.S. for considerably less money. Dear davidbE5207RQ, Thank you for taking the time to let us know how you enjoyed your stay at the Best Western Princeton Manor Inn & Suites Hotel. It is very rewarding to hear your perspective of our hotel and we appreciate that you have acknowledged our efforts to provide a clean, comfortable, and hospitable experience. Your five star review means a lot to us, and we thank you for taking the time to share it. "Typical Best Western, clean but noisy"
We recently stayed at the Best Western Princeton Manor Inn and Suites. It is a typical average Best Western. The room was clean and comfortable. The check in process was slow and cumbersome. The breakfast was adequate, hot and fresh. The hotel is on a busy highway, so there was a lot of noise from highway traffic. The hotel has rooms at the rear of the property away from the noise, but we were not offered the choice of one even though the hotel was far from full. Dear Patrick F, We appreciate your rating of our hotel, though I do apologize for any inconveniences that you experienced due to the noises that disturbed your sleep, and I hope that your next visit will be even better. Your feedback will serve as encouragement to all of our staff as we strive to provide an exceptional and memorable experience for every guest. Thank you for choosing our hotel. We hope to see you again soon. Apuova was very helpful and extremely friendly. She treated my sister and I with much respect. Since it was my first time in New Jersey she made us feel very welcome. Always greeted us with a smile. We didn't want to leave. Dear Marian G, Thank you so much for your kind words regarding the five star service and accommodations that you received during your most recent stay with us! We greatly appreciate that you've taken the time to tell us what a wonderful impression our staff made with their efforts to make you feel comfortable. We can't wait to give you another five star experience! 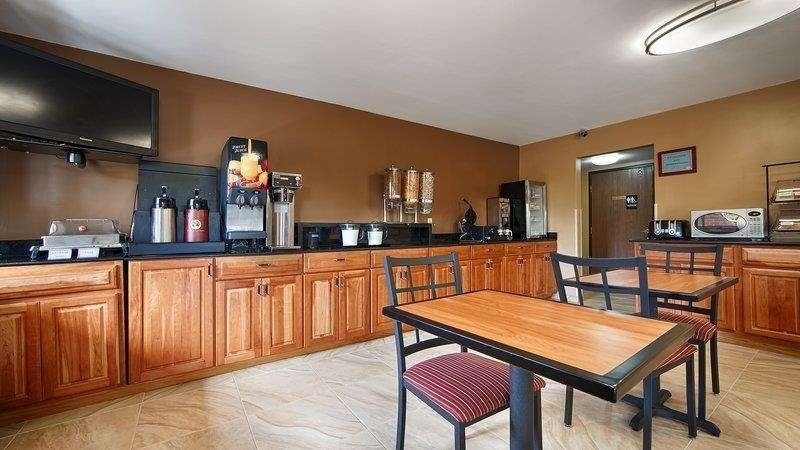 "Best Western South Brunswick, NJ Review"
This is a great Hotel some things can be upgraded. I would upgrade the bed covers. Put a little more color in the room. and Have some fresheners for the room so it can smell even better. Overall, I will be back to the hotel, i enjoyed my stay. Dear I6327PNamandah, Thank you for taking the time to let us know how you enjoyed your stay at the Best Western Princeton Manor Inn & Suites Hotel. Your comments on how we can further improve upon the guest experience are also very helpful to us. We enjoyed having you here, and hope that you will come and stay again next time traveling through! "Quality stay for the money"
Friendly staff,clean renovated rooms,comfortable beds,quiet and the price is right. We stayed here on a night that we went to a car show at Englishtown raceway.It was a short drive from the raceway.Target was across the street to pick up some stuff for the night.Good deal. Dear susanmH5743EC, Your kind compliments mean so much to us, and we thank you for taking the time to share this review. It is very rewarding to hear your perspective of our hotel and we appreciate that you have acknowledged our efforts to provide a clean, comfortable, and hospitable experience. We enjoyed having you here, and hope that you will come and stay again next time traveling through. "Clean and comfortable room with a mediocre staff "
Dear Joe Thank you for taking the time to respond to the survey. We take your feedback seriously and strive to improve in the future. We wish we could have more details about the incidences that made you feel the way you had to feel about the staffs. Please do not hesitate to call me to share more on that so that we can take corrective measures in the future.We hope you would come back to stay with us when you visit the area again. Thank you for your business. Sincerely, Suren On behalf of management. Hotel was clean and cheap. We only needed to stay the night. We were there for 10 hours. We left early in the morning. There was an option to have breakfast in the morning. That would've been great. But we left early. Dear christopherjT2583QB, I am happy to learn that you enjoyed the value and the cleanliness of our hotel! Thank you for taking the time to share this five star experience with our management, staff, and future guests. We're glad you had a great time with us and we look forward to serving you again here in BEST WESTERN Princeton Manor Inn & Suites Hotel. "Good night stay. Comfy bed." Enjoyed the stay. Will definitely go back. Staff was courteous. Breakfast can be better. The A/C stopped working in the middle of the night. The staff offered a new room but I figured out to make the A/C work. Need to flip up the control panel to change the settings. Sara, Thank you for taking the time to let us know how you enjoyed your stay with us. It is heartwarming to hear of how our efforts to impress you with our hospitality, comfort and convenience have been successful. We are all looking forward to your next visit and hope it will be just as enjoyable. I stay at this comfortable hotel regularly. Décor is old, but the place is comfortable and spotless. Great service. The rooms are spotless. The staff is kind and considerate. The breakfast includes waffles, eggs and sausage, as well as a choice of fresh fruit and yogurt. Cathy, Thank you for taking the time to share your kind review and we are elated to learn you enjoyed and comfortable stay here with us at the Best Western Princeton Manor Inn & Suites. We are glad you felt the service was great and you enjoyed the breakfast choices! We hope you will return for another memorable stay when your travels bring you back this way. Thursday March 30 2017, I booked a double Queen room at Best Western Princeton Manor Inn & Suites at Monmouth Junction, NJ. An older gentleman, probably the owner, called me saying Expedia was wrong and there was no such room available. I called Expedia and asked them to resolve this problem. I was on the phone for long time with Expedia agents who were very nice and helpful, and were trying to book me another room nearby. Eventually after 70 minutes they told me that the Best Western owner now had a Queen Suites for us and was supposed to be better. We arrived and found it was just the Queen bedroom we first booked, not a suites as promised, and no pull out couch as described in the updated Expedia reservation. I have a photo to show the room arrangement. I feel that 1), the owner was not honest in telling Expedia what room was for us and 2), the miscommunication between availability and what Expedia shows needs to be resolved. Wendy_liu, We are disappointed to learn of the miscommunication you experienced. We appreciate your review so we are able to look into this matter and address it properly. We hope you will return to allow us to provide you with a better stay next time. Thank you and best wishes. Our first night we were sound asleep when suddenly at midnight we are awakened by loud music from room next door. We call to the office downstairs and they say they will look into it. 20 minutes later, with music blasting into our room, we call back downstairs. Seems they forgot to look into it. 15 more minutes pass by. The woman in the front office says that she called the room in question and there was no answer because nobody was checked into that room. I explained that someone must have set the radio/alarm to go off at midnight. 15 more minutes and then we hear someone enter the room, walk over to the alarm clock and shut it off. We fell asleep around 2:00 am. The next night at midnight the radio goes off again! We try to call downstairs but now the phone is not working - no dialtone! I call the hotel number using my cell phone. It rings 15 times and nobody answers. I get up, get dressed and go out in the freezing cold and walk downstairs to the front office. 15 minutes later someone goes into the room next door and shuts off the radio/alarm. I wouldn't be surprised if the same thing happened the following night. We didn't stick around to find out. Needless to say, we checked out and stayed down the street at the Clarion Hotel for our final two nights in town. "More than what I paid for"
The quality of service and rooms were more than what we expected for the price that we paid. We even had breakfast for the day we stayed. The close proximity to mall and other restarants made it easy for us to go out and eat. Kids did enjoy playing outside and the staff were friendly while my kids were out in the parking out. We asked for additional towels and we got them. Dear 660rajeshg, It is wonderful to hear that you enjoyed your stay and that you have rated our hospitality and accommodations so highly!I am glad that you enjoyed the value and the convenient location of our hotel! Thank you again for your feedback, We greatly appreciate the time you've taken to rate our hotel and we look forward to your next visit. "Decent Hotel for decent price"
Friendly staff and clean room; though the room could be updated technology wise. A bigger closet would've been nice as well, at least to keep suit jackets inside the closet without having to open the door. Continental breakfast was plentiful and varied. Dear 253abhiramt, Thank you for your kind comments and review regarding our high standards of cleanliness and hospitality. We are happy to hear that you enjoyed our value and breakfast! Hearing about how our efforts to give you a pleasant and accommodating experience have been successful is very rewarding for every member of our staff and management team. We also appreciate your suggestions for how we can continue to improve and we hope to see you again soon. Excellent location, very comfortable beds, fast wifi, clean and spacious rooms, friendly and helpful staff, convenient parking, efficient check-in and check-out, tasty breakfast, outstanding value. Feels like home. Dear Leon C, Thank you so much for sharing your review and giving us an honest look at the guest experience in our hotel. I am glad that you enjoyed the value and the convenient location of our hotel! We are delighted by your compliments, rating and review of our high housekeeping and hospitality standards. Your thorough review is greatly appreciated! We are so glad that your stay was enjoyable and we look forward to seeing you again! I enjoyed my stay very much. I knew I had to check out a little later than 11 because I was going to sleep super late and the nice person in the front desk gave me some extra time to get ready and check out . I was really thankful. Dear Catherine V, Thank you for taking the time to let us know how you enjoyed your stay with us! We are excited to share this wonderful review with our hardworking staff, and we thank you for giving us this opportunity to congratulate them on a job well done. It means a lot to us that you've allowed us to be such an important part of your family vacation and we thank you for sharing your five star experience! We stayed there for 16 days and it was such a good experience. I'd totally recommend this to everyone who enjoy of staying in a clean, spacious, quiet and very nice place. The personal is so kind, always willing to help us out with our concerns, special thanks to Raj and his wife from room service who were great with us recommending places to visit around and making us feel like home. I will definitely come back here in a future visit. Dear Estela R, Thank you for giving us the opportunity to recognize our staff for their exemplary work in providing clean and comfortable experience for our valued guests. Our staff is highly trained to give you an exceptional experience, and we are very pleased to learn that we achieved this goal during your recent stay. We only wish to give nothing but the best service to our guests, and to know that we have accomplished such goal gives us great joy. Thank you for your recommendation, and we certainly hope that we can be of service to you and your family again on your next trip. The rooms were clean and the staff was nice. Since I don't eat pork, it would have been nice to have other meat options and fresh fruit for for those who have dietary restrictions. Checking in and out was a bit long. The air conditioning unit was very loud in the room. Other than that, I thought it was a good value for the money. Thank you for your review, your feedback and your comments regarding your stay. I am sorry you feel we were not able to accommodate your diet, we do offer many gluten free items every day such as oatmeal, grits, fresh fruits, yogurt and potatoes. I apologize that you had a long wait at the desk. Thank you for your patience. I hope that you will give us another chance to change your opinion and make your stay enjoyable. We are always looking for ways to improve upon the guest experience and I hope you will return to see how we continue to grow and evolve. We arrived at 1 am having booked through Hotels.com. The representative said she didn't know if they actually had a room because she was dealing with "crises on the ground." Turned out they did have the room I had paid for. She was very good, but when we got to the room, the sheets were rumpled, hairs and stains on the sheets. Requested another set of sheets--took 45 minutes. Finally went to sleep at 2 am after changing the sheets ourselves. Never again. Chirstine, Your review is greatly appreciated, though it is very disappointing to learn of the bad impression we made with the state of our accommodations. We thank you for taking the time to tell us about your stay so that we are able to address this issues promptly. We hope you will change your mind and give us another chance to show you a 5 star experience. Very good hotel, however the room should be clean up better. The towels were worn out and dirty, but the room service changed them on request. Breakfast the same every day (scrambled eggs, sausages, oat flakes, yoghurt, fruits, tosts, bagels, pastry, waffles, coffee, tea, juice), but everyone finds something to eat. Thank you for rating your recent experience at our hotel. I am sorry to hear that you did not thoroughly enjoy the breakfast options, and I want to let you know that we take your suggestions to heart and are reconsidering the available choices. We look forward to serving you again! I pulled into town late Wednesday night and needed to find a hotel. I haven't stayed at a Best Western in a number of years so I decided to give it a try. The front office was dimly lit and i wasn't sure they were even open. When i opened the door I was greeted by a young man that was extremely present and accommodating. The room was a little out dated but was clean and neat. The bed was a little firm for my liking but overall it was pretty good. I will be traveling back to the Monmouth Junction area in the future and will likely stay at the BW again. Thank you for your kind comments and review regarding our high standards of cleanliness and hospitality. It is rewarding to hear that we have succeeded in making you feel at home and that you experienced no difficulties with our services or amenities. I am glad that we were able to meet your expectations of service and accommodations and we're all looking forward to your next visit! "Truly is a great Best Western"
Thank you so much for your feedback and kind words regarding the five star service and accommodations that you received during your most recent stay with us! We are so glad to know that you had a wonderful time with us and that you find great value in staying with us. We always aim to give you the best value for your money and we are so happy to know that our efforts are well received. We do hope to see you and your family again soon and thank you so much for your business. the bed was fine.. everything was okay until i found black mold in the bathroom. The front desk was told, and the reaction was like.. hmm, dum dee dum dum....either he didnt care or he knew it was there and still allowed us to use the room. Thank you for taking the time to complete our survey and share your experience! We strive to ensure that our atmosphere does not equate to a lower standard of cleanliness. We make it a point to ensure that your room smells fresh and is perfectly clean upon arrival and will never translate to a lesser quality of room and service. Thank you for choosing our hotel. We hope to see you again soon. My family had a great time staying in this Best Western. Comfortable bed, clean and spacious room. Good breakfast. Hotel staff were very helpful and accommodating. Will definitely recommend to others. Thank you for choosing to stay with us, and sharing to us your positive experience regarding the appreciation you have for our reliable staff, as well as the liking you expressed with the accommodation in total. We only wish to give nothing but the best service to our guests and to know that we have accomplished such goal gives us great joy. Thank you for your recommendation. our stay at this hotel was brief but enjoyable. we stayed at this facility before and decided to stay again. The morning breakfast choices provided were tasty and enjoyable. I would recommend this hotel to friends visiting this area. Thank you for taking the time to let us know how you enjoyed your stay with us! We seek to give each guest a very comfortable and accommodating experience and we are thrilled to hear of our success in this ambition. We are happy to hear that you enjoyed our breakfast! We are so glad that your stay was enjoyable and we look forward to seeing you again! "Last minute find, great bargin"
Needed to land in a clean hotel at the last minute during a business trip in Princeton. Wanted internet access and breakfast included. Got it all at this BW, Got a great price as well through Priceline.com. I return again. Thank you very much for the compliments you give to our hotel! We value our customer's experience that is why we always make sure that our facilities are in good shape to provide our customers the best we can offer in a reasonable price. It means a lot to us that you've allowed us to be such an important part of your vacation and we thank you for sharing your five star experience! "Nice rooms, small breakfast area"
The rooms were standard but nice (higher quality sheets than I've had at other Best Westerns). Even though it was an outside entrance, we felt safe and the noise from the highway wasn't an issue. The breakfast area was painfully small and there were people waiting to get a seat. We eventually climbed over people and got food to take back up to our room. Thank you for taking the time to share this five star experience with our management, staff, and future guests. Our primary aim is to give you a comfortable and accommodating experience, and we are very pleased to hear of our success in this ambition. We are so glad that your stay was enjoyable and we look forward to seeing you again. "Worst stay we have ever had with any hotel chain!" We stayed in this Best Western for one night in the end of June 2016. We had 2 rooms booked that were connected. When we went to check in, they gave our room away to someone else that had checked in. They couldn't correct it and wanted to put us on the second floor. We have 2 small children and walking up the stairs with everything is anything but possible or convenient (they didn't have elevators). So they put us in the "test" room. Which was horrible. It was barely clean, smelled, a hole in the ceiling in the bathroom and was on the opposite side of the motel from where our family was staying. They didn't apologize for the mistake, they just said they were training new people and that's how it happened. When we checked out, my husband signed the receipt for the stay. They never ended up charging us. They charged my brother in law (our other guests) twice for our room. When he called to get it corrected, they told him they needed my husbands CC info (which they already had on file) but they apparently couldn't find it. 3 1/2 weeks later, the charge showed up on our debit card. My husband called to find out what happened because they never reversed my brother in laws card. The manager was anything but helpful. They had attitudes and refused to do anything for us to fix it. Finally after a 1/2 conversation with him, they compensated 20% of our stay. Hardly covered the inconvenience we had for the entire time. I wouldn't recommend this place to my worst enemy. Pay an extra $50 a night and go somewhere else in the area! Thank you for taking the time to write this review and share your experience. I am sorry to hear that you did not have a completely comfortable stay at our hotel we are now informed the management about your concerns regarding with your request which didn't grant your comfort and convenience are our top priorities.I do thank you for bringing this matter to our attention and I assure you that we are correcting this issue for improved convenience in future visits. Watch your bank statements after staying here, we were falsely accused and unknowingly charged $250 for smoking in the room, and we are NOT smokers. We did NOT smoke nor did we smell smoke in the room when we checked out. After an unsuccessful resolution with the manager, we have contacted the bank to try to resolve it. Thank you for reporting this incident you had in the hotel. We are already making reports about this so the management will be informed by this news. We are very sorry about your disappointment but rest assured, your concerns will be highly appreciated to better our services to our dear customers. Please feel free to contact us if this situation has not been resolved to your satisfaction. Great Service, comfortable. I highly recommend this Hotel for family travels. Exceptional experience, especially after traveling on the road for hours. Great price and location, will stay here again when I'm in the area. Thank you so much for sharing your review and giving us an honest look at the guest experience in our hotel. I am glad that you enjoyed the value and the convenient location of our hotel! It is so rewarding to hear that we were able to give you a five star experience and we look forward to your next visit! Excellent value. Staff was concerned about doing a good job, which I found refreshing. I was there for business, and required reasonable internet. I found this to be very good with very good bandwidth and outstanding reliability.The room was nice, and the lobby and exterior very nice. The location was quite convenient for me to get either to points north or west, which, conveniently, was precisely what I needed. Thank you for taking the time to share your feedback and to acknowledge the efforts of our hardworking staff to be as accommodating, helpful and welcoming as possible. It is heartwarming to hear of how our efforts to impress you with our hospitality, comfort and convenience have been successful. .We always aim to give you the best value for your money and we are so happy to know that our efforts are well received. We can't begin to tell you how much we appreciate your five star review, and we can't wait to serve you again! Very helpful freindly the reservation was done wrong but they corrected it when we got there. We had specified a first floor room stating we had handicapp person in party, but was given second floor room. There is no elevator at this hotle. WE made on line they told us they didn't receive any of that information when resversation was placed. Thank you for taking the time to share your feedback and to acknowledge the efforts of our hardworking staff to be as accommodating, helpful and welcoming as possible. We want to apologize for the issues that you experienced, though we are very pleased to hear that our staff was able to make sure that it was promptly addressed and that you were still able to enjoy your stay. Thank you for choosing our hotel. We hope to see you again soon. "Outside Entrance Best Western "
Outside Entrance to ALL rooms. No desk or desk chair to do office work, no comfortable room furniture. Woman walked a Non- Service dog directly thru dining facility. Coffee was cold during a good part of the day. Breakfast could use more selection. Friendly Staff. It is clean and nice. The staff are very cooperative. Pricewise it is reasonable. Location is Good. room has all required facilities. Bathroom size is good as compare to other hotels. Over all it is very good. Thank you very much for the compliments you give to our hotel! We value our customer's experience that is why we always make sure that our facilities are in good shape to provide our customers the best we can offer in a reasonable price. We are all looking forward to your next visit and hope it will be just as enjoyable. The front desk help was really friendly at this property. I met the owner one morning too. He was also very friendly. The hotel is simple. It a good place for the money. It's right on the highway but it's still fairly peaceful. Thank you for taking the time to share your feedback and to acknowledge the efforts of our hardworking staff to be as accommodating, helpful and welcoming as possible. We value our customer's experience that is why we always make sure that our facilities are in good shape to provide our customers the best we can offer in a reasonable price. We are very happy to learn that your stay was so peaceful, and we hope to see you again soon! This motel is a very good value. It is very convenient to Princeton through Kingston and down Nassau Street. The breakfasts are good, the beds are good and the staff is very helpful. I have used it for several years. Thank you very much for the compliments you give to our hotel! We value our customer's experience that is why we always make sure that our facilities are in good shape to provide our customers the best we can offer in a reasonable price. We thank you for your loyalty and look forward to serving you again in the future! This is an excellent hotel, great staff, and nice full breakfast. Nice rooms with internet! We traveled for business and pleasure, and needed a warm and friendly place to stay. This was the perfect spot for us to rest and relax during a busy time. Thank you for leaving your five star rating of our hotel It is heartwarming to hear of how our efforts to give you a great experience, filled with hospitality, comfort and convenience have been successful. On behalf of our entire staff, we thank you for your business and we hope to see you again when your travels bring you back to the area! "Above average affordable motel room with 2 beds"
Clean, large, good shampoos/conditioners (Pantene) and soaps. The floor rug, beds, and sheets were clean. Bathroom was clean, too. Not just "appearing clean". Nothing crazy amazing but really good and solid. Thank you for your kind comments and review regarding our high standards of cleanliness We are happy to know that we have exceeded your expectations for just an affordable price. I am so glad that you found our hotel to be clean and convenient and that you enjoyed the accommodations and services that we strive to show to each guest, during every stay. We hope to impress you again during your next visit and we thank you for sharing your experience. 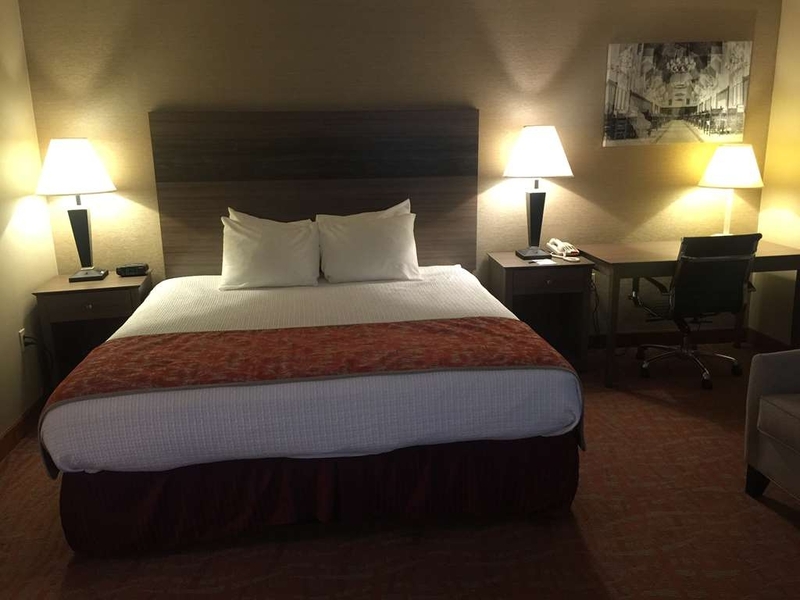 "Rooms are nice.. clean and nice maintainace"
Rooms are really good.. worth a try.. clean... good maintenance... just opposite to BestBuy.. You need anything you can go to DunkinDonuts, target, starbucks, subway all walk away.. alot of place for parking.. Thank you for your kind comments and review regarding our high standards of cleanliness and that you found the accommodations and service to be satisfactory. On behalf of our entire staff, we thank you for your business and we hope to see you again when your travels bring you back to the area! The room was just right for my needs. The room was Clean, comfortable and close to where I needed to be. The staff was very nice, and helpful. This was an easy choice, the value was excellent for a night's stay! Thank you for leaving your five star rating of our hotel. Thank you for taking the time to share your feedback and to acknowledge the efforts of our hardworking staff to be as accommodating, helpful and welcoming as possible. It is rewarding to hear that we have succeeded in making you feel at home and that you experienced no difficulties with our services or amenities. We are looking forward to your next visit! We stayed at this Best Western in April 2016 for 1 night because of a family function. The staff was very friendly and accommodating. Our room was quiet and clean. We had free wi-fi, a mini fridge, microwave, hairdryer and a fairly comfortable bed. The breakfast was great with a waffle maker, eggs, sausage, fruit, yogurt, breads, cereal, coffee, tea and more. I would go back and I would recommend it to all. We are driven by the motivation of giving our guests the best service there is to offer, and it gives us great joy to know that we have done a good job in attending to your needs. Thank you for choosing to stay with us, and sharing to us your positive experience regarding the appreciation you have for our reliable staff, as well as the liking you expressed with the accommodation in total. We only wish to give nothing but the best service to our guests, and to know that we have accomplished such goal gives us great joy. Thank you for your recommendation, and we certainly hope that we can be of service to you and your family again on your next trip. Visiting Princeton U. with child. Nice hotel for the price and included breakfast. Room was clean and spacious. Close to the campus. The only complaint has nothing to do with the hotel. There is a cement divider down the center of the road. Only right turns can be made. Advertising this would be nice. We arrived at 11pm at night and the signs stating this are not illuminated. We almost were killed. Princeton is awesome (except for that road). Thank you very much for the compliments you give to our hotel! We value our customer's experience that is why we always make sure that our facilities are in good shape to provide our customers the best we can offer in a reasonable price. It means a lot to us that you've allowed us to be such an important part of your vacation and we look forward to serving you again! Good and nice hotel to stay in this price range. Good continental breakfast option .. Room had everything and arranged nicely however we had issue with 1 room's shower not working with water logging. Post complain no compensation to adjust this discomfort. Thank you so much for your compliments to our breakfast options and service. I am so happy that you enjoyed your stay and that you found the accommodations and service to be satisfactory. We are now informed the management about your concerns regarding the shower which didn't worked and will address the maintenance task right away for the benefit of our future guests, which hopefully will include yourself. In serious need of a complete remodel. Stains on ceiling. Stiff dirty carpet. Peeling paint in room. Door gap so large that the light coming in at night was a distraction (not to mention the bugs that could easily get in). Glad it wasn't cold. I would have froze. Noise from Rt1. Breakfast was terrible (powdered microwave eggs were still cold, limited fruit). Never staying there again. Nice and clean hotel, the people were nice. 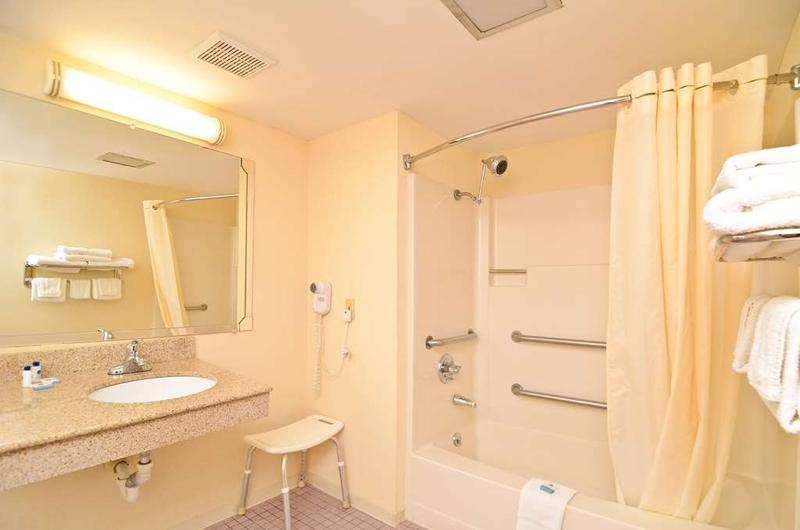 Bathroom is clean, the parking lot was good and it was not filled up.wen I arrived they treated me instantly and they were very nice to me.If I stay in New Jersey I would come back to this hotel again. Thank you for leaving your five star rating of our hotel. Thank you for taking the time to share your feedback and to acknowledge the efforts of our hardworking staff to be as accommodating, helpful and welcoming as possible. We are all looking forward to your next visit and hope it will be just as enjoyable. "Best lodging I had while I was in the area." Due to some unforeseen travel changes I ended up in a part of New Jersey I had never been to before for a few weeks more than I expected. I stayed at quite a few different hotels and motels and this one ended up being by far my favorite. The staff is incredibly courteous. Like they go WAYYY above and beyond what they need to do to take care of you. I had had some car trouble and they let me check in early with barely a question asked. That was just the beginning of many different times I was impressed by everyone I came into contact with during my 5 day stay. The room was very spacious and quite clean, they gave me some extra pillows when I asked due to some major back problems I suffer. Good TV, good Internet speed and connection, excellent breakfast with yummy eggs, bagels and sausage among other things, but honestly the shining star of the whole place was the amazing courtesy and efficiency of the staff. I don't have enough good things to say about them. I know that this may sound like one of those reviews the staff makes themselves, but I'm being completely legit. I was genuinely impressed and touched at the level of care they showed me. It was nice not just feeling like another body filling a bed. I felt like they really did care that I was comfortable and happy and that's rare in this business. I'd recommend this little place to anyone! Tell them Shannon sent you! I decided to stay here because it wasn't too far from the turnpike, and not too far from the city. It wasn't hard to find. There's a target and few other stores adjacent from the hotel. Also gas cheaper in this neighborhood. Thank you for taking the time to share this five star experience with our management, staff, and future guests.We are glad that you found our location to be convenient ,Our primary aim is to give you a comfortable and accommodating experience, and we are very pleased to hear of our success in this ambition and we look forward to seeing you again. Friendly and helpful staff, comfortable beds, free breakfast and internet. Rooms have fridge, microwave. Some even have Jacuzzi bath tubs. Good location, just north of Princeton. Great value for the money. We are so glad to hear from you and to learn that we were able to give you a pleasant, comfortable and convenient experience. We are also happy to hear that you found the location to be so convenient for your needs. We are glad that you were satisfied with the hospitality of our staff and I am very pleased to learn that you enjoyed the breakfast offered at our hotel. We look forward to seeing you again soon. Thank you for leaving your five star rating of our hotel!! "Everything Was Great Except For Breakfast"
Stayed here one night while taking in some auto racing in Trenton. Very nice facility, easy to find, right of the main drag. Rooms were very clean, beds were comfortable, and staff was very helpful with any questions we had. The only small complaint would be the breakfast they serve. We arrived about 40 minutes before breakfast was over. At that time, most of the items were empty, and we were left with only a choice of cold cereal and waffles. Not once in 40 minutes did we see anyone that attempted to refill the eggs, bagels, or anything else they were supposed to have available. Not a huge deal, but it would have been nice to have more choices. All in all a very nice stay though and I would return here again. I filled out the review Best Western emailed me, and the owner contacted me personally, thanking me for my review. That shows me they care, which is half the battle. Thank you for taking the time to let us know how you enjoyed your stay with us! It is heartwarming to hear of how our efforts to impress you with our hospitality, comfort and convenience have been successful. We are excited to share this review with our staff who will be pleased to hear of the outcome of their efforts to make you feel at home.I am sorry to hear that you did not thoroughly enjoy the breakfast options, and I want to let you know that we take your suggestions to heart and are reconsidering the available choices. We look forward to your next visit! The hotel had nce decor and a tasty breakfast. The staff is very friendly and helpful. The only issue I had was that we could hear some noise through the door connecting to the next room. The beds are very comfortable and clean. Thank you for taking the time to share this five star experience with our management, staff, and future guests.Our primary aim is to give you a comfortable and accommodating experience, and we are very pleased to hear of our success in this ambition.We are so glad that your stay was enjoyable and we look forward to seeing you again! "Recommend this hotel for your business/leisure trip"
Front desk staff is excellent and always looking for your best stay in this hotel. This is supported by the housekeeping staff. Every time, I came back to the room and found everything was brought back to original settings. This location of this hotel is also good. A strip mall just opposite to it. I recommend this hotel to everyone and the price also has comparable pricing. We are so glad to hear from you and to learn that we were able to give you a pleasant experience. It is heartwarming to hear of how our efforts to impress you with our hospitality, comfort and convenience have been successful. We seek to give each guest a very comfortable and accommodating experience and we are thrilled to hear of our success in this ambition. On behalf of our entire staff, we thank you for sharing this experience and we look forward to your next visit. "Good room, good price, need better plumbing"
Hot water issues in shower. Need to fix pressure in the shower. snow storm during stay. parking lot not plowed. noisy neighbors but did quiet down at night. And why do I need a minimum of 200 characters to explain my visit. That is moronic trip advisor. make reviews short and to the point. I am terribly sorry to hear of your disappointment with our hotel. Know that your voice is important to us and that we are working hard to address these issues and improve upon the guest experience. We hope to see you again someday and to transform your opinion of our hotel and service. "Recently renovated, pleasant, attractive and very very clean." The room has the quality and amenities of a much more expensive accommodation, especially for being very close to Princeton. In my experience it is the best value in the area. Breakfast was excellent, bed was very comfortable, bath is a whirlpool, staff is pleasant and helpful. They even cleaned the snow off my car! I was very pleased, and sorry I could not stay another day or two just to rest. Thank you !!! Thank you for sharing this heartfelt review of our hospitality and accommodations. We are glad that you found the majority of your experience to be satisfactory. I am so glad that you enjoyed the breakfast and the service. We are all looking forward to your next visit and hope it will be just as enjoyable. I have stayed at this location several times in the past during storms. I stayed at the Best Western during the blizzard in order to be able to get to work the next day. The check in staff was very friendly and told me of the changes that had occurred since the last time I stayed. He pointed out where my room was and told me if I had any questions or problems to simply give him a call. The room was clean and comfortable and although the heat took awhile to get to a comfortable temperature, it worked well. Checkout was quick and simple. Thank you for always staying in our hotel, BEST WESTERN Princeton Manor Inn & Suites! I am glad that you always enjoy your stay with us. We are happy to know that we always exceed your expectations with our staff's excellent customer service, clean and comfortable accommodations, and quick check out. Thank you for your loyalty and we are definitely looking forward for your next visit with us. "Excellent value near Princeton, NJ"
I have stayed at this motel a number of times on business trips to Princeton. It is an excellent value for the price, just a little farther away from town than some other motels, but not a real difference. Rooms are equipped with refrigerator, microwave and coffee maker. Beds are comfortable. Consistent high level of cleanliness and other services. Staff friendly and accommodating--also consistent over several stays in the past 3 years. Thank you for always staying with us on your business trips to Princeton! I am glad that you liked our reasonable rates. 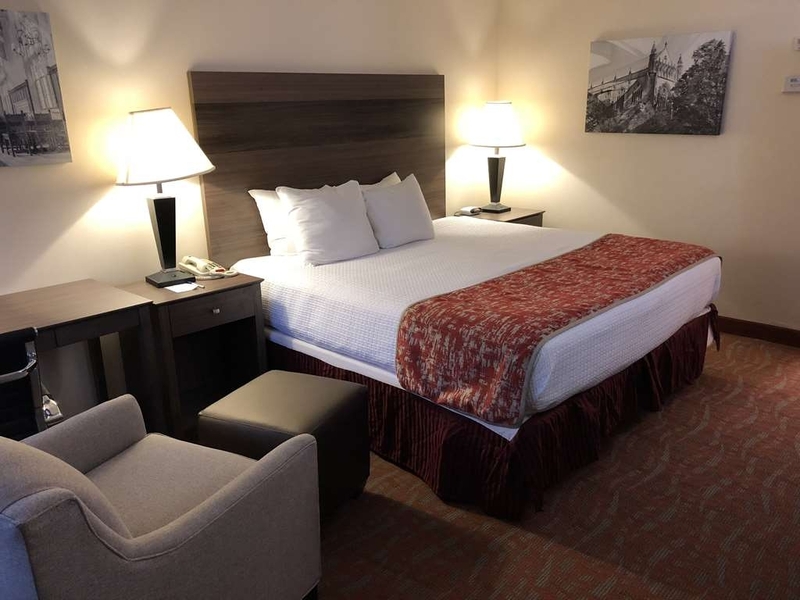 We are happy to know that you enjoyed our room amenities, comfortable beds, cleanliness of our accommodations and staff's excellent customer service. Thank you for your loyalty and we are definitely looking forward for your next visit with us. "Great value and clean, comfortable experience"
The staff were nice and helpful. Clean and tidy throughout the hotel and in the room. Fridge and freeezer actually worked unlike other hotels. Across street from Target with a Starbucks in it as well as Dunkin Donuts. 10 minutes or less from Princeton and very easy to get to. A great value for a no frills and reliable place. We are so glad to hear from you and to learn that we were able to give you a pleasant experience. It is heartwarming to hear of how our efforts to impress you with our hospitality, comfort and convenience have been successful. On behalf of our entire staff, we thank you for your business and we hope to see you again when your travels bring you back to the area! "Good Location - Good Value"
This motel is located on US 1, just north of Princeton. It is the best value hotel in the area and it has free breakfast and free wifi. And the front desk staff are friendly and helpful.Some of the rooms even have a jacuzzi tub! I am so glad that you enjoyed your stay and that you found the accommodations and service to be satisfactory. I am pleased to learn that you enjoyed the value and amenities of our hotel. Thank you for sharing this review. We hope to serving you again. I had an excellent experience at Best Western in NJ. I would recommend anyone to may a reservation and stay here. The rooms are clean, the staff is extremely friendly, and the rates are reasonable. The coffee is good too. It means a lot to us that you've taken the time to share this positive experience at our hotel. I am so happy that you enjoyed your stay and that you found the accommodations and service to be satisfactory. Thank you for this review. We hope to see you again. We arrived very late but still got a very pleasant welcome. The hotel was very good. People were welcoming, the room was clean and large enough for the family, breakfast was great. Check in and check out were fast and efficient. Thank you! It means a lot to us that you've taken the time to share this positive experience at our hotel. I am so happy that you enjoyed your stay and that you found the accommodations and service to be satisfactory. Thank you for sharing this review. We hope to see you again. This review is to thank the front desk staff especially. My company paid for the rooms for me to stay for training from 2011.7~ 2011.10. I sometimes stayed late and worked all the way till the morning. The senior gentleman from the front desk was very nice. He and his wife were always great to talk to, very nice people. He made really great waffles. Thank you guys! All the best to you. Thank you for giving us a five star rating! I am glad that you enjoyed your stay with us. We are happy to know that your company chose us for your training and that we exceeded your expectations with our staffs' excellent customer service. Thank you for staying with us and hope to see you again in our hotel. 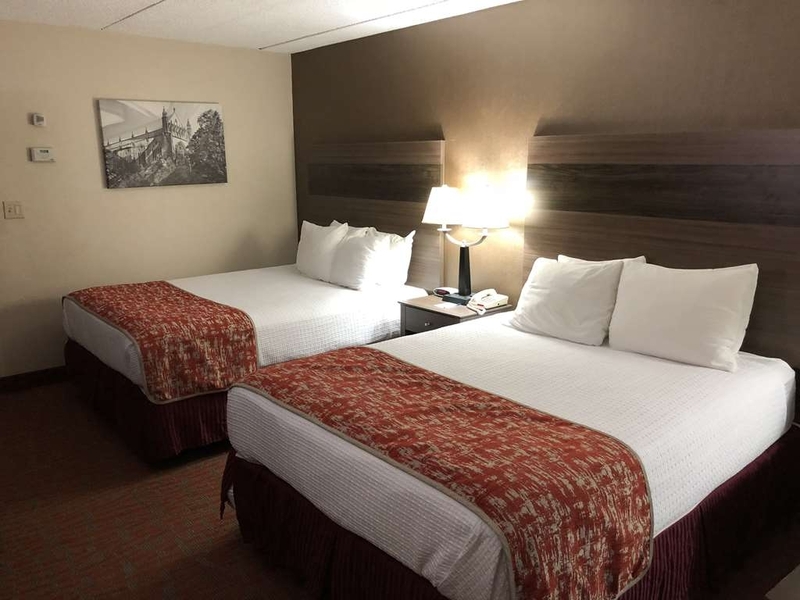 "Convenient Location - Fair Price - Friendly Staff"
The free in-room wifi and buffet breakfast along with the good location, comfortable beds and helpful staff make this a good place to stay in the Princeton area. Some of the rooms even have jacuzzi tubs! I am glad that you enjoyed your business trip with us! We are happy to know that you liked our accessible location, accommodations and staffs' excellent customer service. Thank you for you business and we hope to see you again on your next business trip in the area! "Stay Elsewhere if you can"
This Best Western is in need of better cleaning and remodeled rooms. I do not recommend it at all. There are many better places in the area. There is little maintenance done on the rooms from what I can see. The staff was ok. I don't understand why a motel would not make an effort to be clean, well maintained and modern. Many of the previous reviews were correct. This is a motel with exterior doors. The hotel price is good and the motel is very clean. 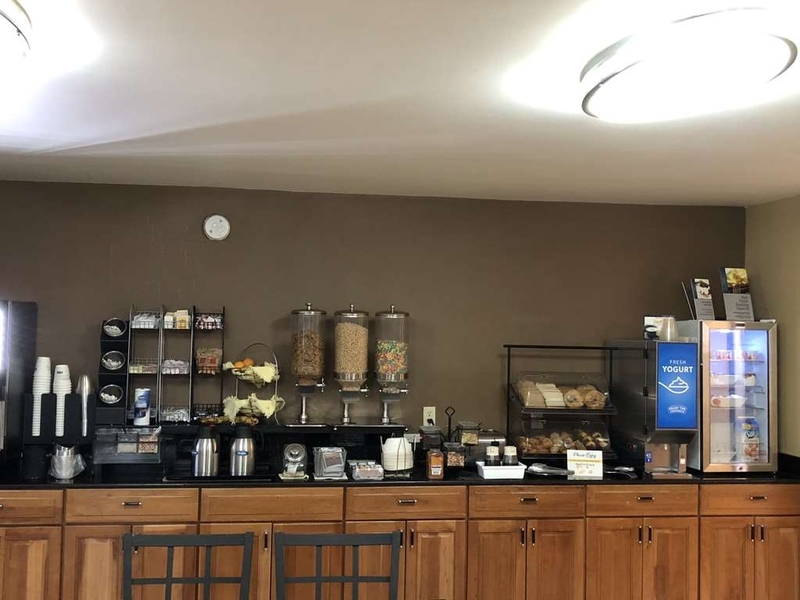 Breakfast and lobby area nice.The motel is under construction and there are ladders and construction material all over.The hotel is on busy hwy 1 which requires u turns.There is a great side road which takes you right into Princeton. Manager is very attentive. I am glad that you enjoyed your stay with us. We sincerely apologize for the construction materials scattered all over the place as we are improving the place to satisfy our guests needs. Thank you for your feedback and we are looking forward for your next visit in our hotel. It was missing a couple of things and the forgot to give us the wake up call that we had asked for. The shower was complicated to put on and off. The floors and doors creeked . Not enough towels. Only two. No clock readio in the room and we had to ask for one and they did not seem to care about that as well. We have stayed here before and it was not a good experience this time when all the other times we had a great experience. We sincerely apologize that we didn't meet your expectations. Rest assured that everything will be forwarded to our management to have it resolved immediately. Thank you for business and hope that you could still give us another chance on your next visit in the area. "Reservation not honored/ Construction/ Fire hazards"
We are very sorry to know about the experience that you had during your stay and we will see to it that this kind of incident will be prevented from happening again. We would like to apologize for any inconvenience these issues may have caused you and we do hope that you'll give us another chance in the future to make it up to you and show you how much we value your business. If anyone else makes the mistake of staying here I am sorry! There is nothing positive to report at all. They had parking and that was it. The room was freezing with no way to control or change temp. The water was warm after 30 minutes. The bed was a ROCK to sleep on. Internet sucked and breakfast was horrible. Stay somewhere else and you will have a better night. Thank you for sharing your experience, and I am so sorry to learn that we failed to meet your expectations of quality service and accommodations. Your satisfaction is important to us and we will be using the feedback you provided to make improvements to ensure we offer an exceptional experience for our guests in the future. I do thank you for bringing this matter to our attention and I assure you that we are correcting this issue for improved convenience in future visits. I am so happy to learn that you enjoyed our hospitality, service and accommodations. It is wonderful to hear of the great impression we made with our amenities and services. We are all looking forward to your next visit and hope it will be just as enjoyable. This is an excellent hotel, clean, professional. The staff if friendly, courteous. The room service is great. I found staff to be helpful in finding cheapest taxi in the are. The breakfast is good and they give enough time. Also the coffee shop is a great idea. I'm in the hotel industry & we needed an inexpensive hotel for one night near Princeton. I am very impressed. Very clean rooms, comfortable beds, great shower! Wifi is complimentary. Room has a refrigerator, microwave, & coffee maker. The TV has a lot of premium channels too! Breakfast is included as well. Eggs, sausage, waffles, breads, fruit, yogurt, coffee, tea, & juices! I'd highly recommend this hotel. It is wonderful to hear that you enjoyed your stay and that you have rated our hospitality and accommodations so highly! Our primary aim is to give you a comfortable and accommodating experience, and we are very pleased to hear of our success in this ambition. It's rewarding to learn that we exceeded your expectations with the accommodations, hospitality and cleanliness of our guest rooms. We are all pleased to learn we were able to make you feel at home and that our services and accommodations lived up to your expectations. We are very happy to learn that your stay was so peaceful, and we hope to see you again soon! "Clean - Serves a Purpose"
This is a true motel experience. Gave a very good because for what it is - a motel - it is a very good one. Close to highway 1, lots of highway noise, you park in front of your room. However, did not keep me awake. Bed very comfortable, free wifi, free breakfast of scrambled eggs, sausage, waffles, fruit, pastry, beverages. Same both days. Staff friendly and willing to make sure your stay is comfortable. Clean, and that is important, clean room, clean bathroom. Towels not luxury but not budget threadbare either. Hot water aplenty. This is not a luxury stay. This is the place you stay when you need a clean and comfortable room for the evening. Close to Princeton, but not an area to walk, you need a car. Yes, would stay there again. Got a great price by going right to the website. We are so glad to know that you had a comfortable stay with us. We take pride in making sure that our place is kept clean and well maintained. We do hope that you'll get to visit us again soon. Thank you so much for your business and may you have a wonderful day ahead. "A good place to stop on the way back to JFK"
We stopped here overnight when on our way back to JFK for our flight home. It is about an hour and a half from the airport The hotel is quite old-fashioned and in need of upgrading but clean and perfectly comfortable. The staff were very helpful and polite. Breakfast was quite good. We are so glad to know that you had a pleasant time with us. We do hope that you'll choose to stay with us again in the future and thank you so much for your business. For a stay in the Princeton area, this is a good choice. The rooms are well appointed, there is a good selection of TV channels, with good hot breakfast options, and with a helpful staff. The location is good for any requirement in the area. We are so happy that you enjoyed your stay with us. We can see that you've stayed with us before and we are so glad to know that you continue to choose staying with us. We do hope to see you again soon and thank you so much for your business. Thank you so much for appreciating our efforts of providing you with clean and comfortable accommodations and we are so glad to know that you had a great time with us. Our staff aim is very happy for your recognition of our hard work in making sure that your needs are attended to efficiently and we do hope that you'll get to visit us again soon. Thank you so much for your business and may you have a blessed day ahead. The staff was amazing. Very friendly and helpful. Location is close to everything. Stores all around. Easy access to the highways. Breakfast available. The rooms were clean and bed comfy. they are remodeling the outside of the building so it may appear to be closed but it's open. Thank you so much for appreciating our efforts of providing you with clean and comfortable accommodations and we are so glad to know that you recognize our hard work in making sure that all your needs are attended to during your stay. Thank you so much for your understanding of our renovations and we do hope that you and your family will get to visit us again soon. We are so grateful for your business and may you have a blessed day ahead. Service was excellent. Breakfast was good. We slept good. Guest room was clean. The location is easy to find. My wife and daughter like the hotel very much. However, the WIFI in the hotel of Atlantic City was disappointed . The web speed was slow and not stable. Thank you so much for appreciating our efforts of providing you with great customer service. We always aim to maintain the cleanliness of our hotel and we are so glad to know that our efforts are well received. We will see to it that our WIFI service will get to be checked by our maintenance staff and that this will be corrected immediately. We do hope that you and your family will consider staying with us again in the future and thank you so much for doing business with us. Thank you for sharing your experience, and I am so sorry to learn that we failed to meet your expectations of quality service, cleanliness, and accommodations. Our staff is held to a high standard of hospitality and I hope you will accept our sincerest apologies if you were not greeted with a smile with every communication. I do thank you for bringing this matter to our attention and I assure you that we are correcting this issue for improved convenience in future visits. "Excellent front desk and housekeeping"
Hotel is located at one of the best location in Princeton. Everything nearby. Hotel staff and housekeeping are excellent. I had stayed there at least three time between July and August. I was satisfied with everything. Breakfast was better than many nearby hotels and the price for the room was also affordable for business and family visit. I will recommended other people to consider it for staying in Princeton and Princeton university. I am so glad that you enjoyed your stay and that you found the accommodations and service to be satisfactory. It is so rewarding to hear that we were able to provide a convenient experience. We especially appreciate the tips for future guests who can benefit from such advice. We hope that everything turned out all right. We are looking forward to seeing you again!